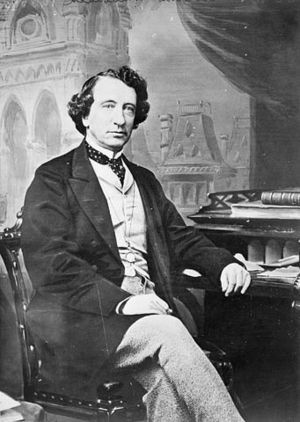 Sir John Alexander Macdonald (11 January 1815 – 6 June 1891) was the first Prime Minister of Canada (1867–1873, 1878–1891). 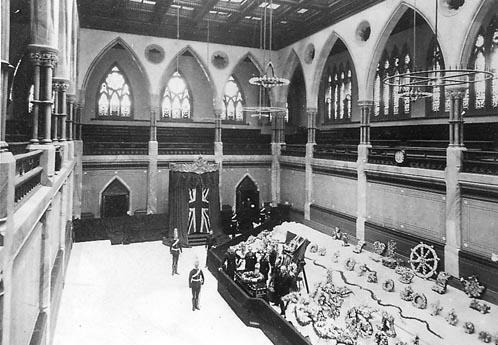 The dominant figure of Canadian Confederation, he had a political career which spanned almost half a century. 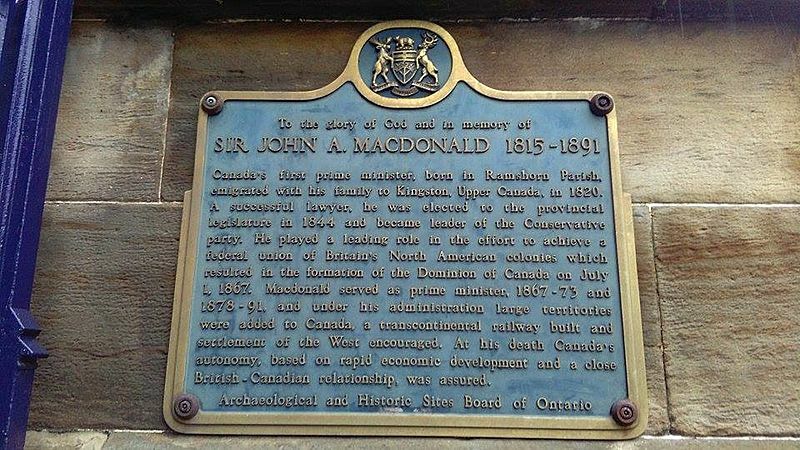 Macdonald was born in Scotland; when he was a boy his family immigrated to Kingston in the Province of Upper Canada (today in eastern Ontario). 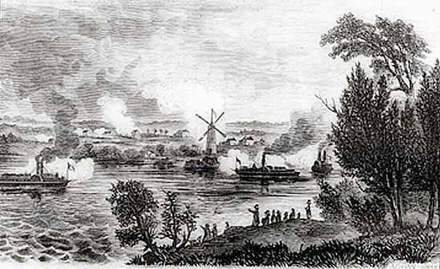 As a lawyer he was involved in several high-profile cases and quickly became prominent in Kingston, which elected him in 1844 to the legislature of the Province of Canada. By 1857, he had become premier under the colony's unstable political system. 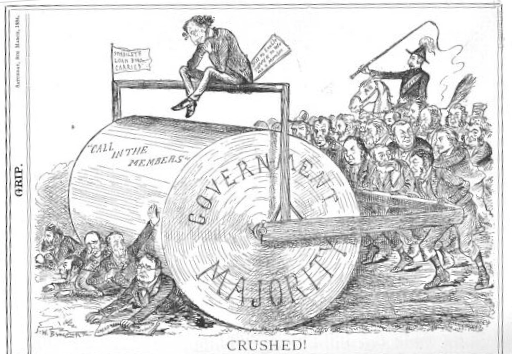 In 1864, when no party proved capable of governing for long, Macdonald agreed to a proposal from his political rival, George Brown, that the parties unite in a Great Coalition to seek federation and political reform. Macdonald was the leading figure in the discussions, which resulted in the British North America Act and the birth of Canada as a nation on 1 July 1867. Macdonald was the first Prime Minister of the new nation, and served 19 years. He was re-elected in 1878, continuing until he died in office in 1891. Macdonald's greatest achievements were building and guiding a successful national government and completing the Canadian Pacific Railway. He died in 1891, still in office; he is respected today for his key role in the formation of Canada. Historical rankings have consistently placed Macdonald as one of the highest rated Prime Ministers in Canadian history. John A. Macdonald Facts for Kids. Kiddle Encyclopedia.